A few weeks ago in December, the much loved video sharing platform for creative professionals and enthusiasts – Vimeo started the ball rolling on their 4K support by allowing Pro Vimeo users to upload and download 4K content. Vimeo Pro accounts cost $199 per year, and although this may be a bit too steep for some of us, chances are Vimeo may roll out this feature and eventually full 4K streaming to lower-tiered accounts at some point, although we have not confirmation of when, if ever. One thing is certain though – some Pro users at the moment are able to upload and 4K or UHD content to Vimeo and even stream it in 4K. UK based DP James Miller, who does amazing work with any camera in his hands, recently shared some clips he shot on a RED Epic / the Sony A7s with the Atomos Shogun. British Camping – 4k Streaming from James Miller on Vimeo. 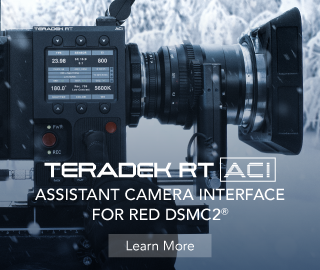 Shot on the Red Epic Dragon at 6K, 5K & 4k. 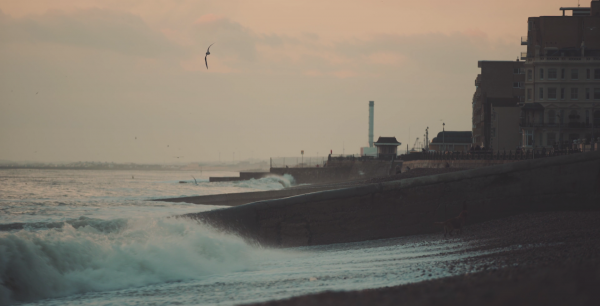 Fading Light – Atomos Shogun, Brighton (4k Vimeo) from James Miller on Vimeo. Very quick trip to Brighton on the South coast of the UK. Shot in the fast fading winter light with Philip Bloom. We were both doing our initial tests with the Atomos Shogun, 4k Recorder. My test is only with the Sony A7S with Cine Gamma 4 (Cine4) and (Movie) Colour mode. Really like SLOG on the A7S, just not in low light. Its a very nice fairly light, easy to use 4k capable machine. Really brings the Sony A7S into a new light. The perfect companion for this and a few other cameras. H.264 at 3840 x 2160 (Profile 5.2) 60Mbps, unfortunately due to compression, you will see banding and blocking that is not on the ProRes version. Could do with 200Mbps on this, might re-render tomorrow. Graded using custom 3DLuts & curves. Basically you need to double you bitrate for Vimeo to recognise what source you require. Too low bitrate and you will only get 1080p max. HD 1440p is a nice jump up from standard HD 1080p as Vimeo use twice the data rate. A good option even for upscaling 1080p to give a bitrate boost to the vimeo re-compression. So if some of you are Vimeo Pro users and have access to 4K captured content, try the above settings and see if they work on your account. I can’t confirm if this works on all Pro accounts, or just some, and as Vimeo doesn’t allow (yet) resolution change from their interface (as in the “gear” button on YouTube) one can’t really be sure whether the content they are watching is in 4K or 1080p o 720p. That’s the thing I’ve always found with Vimeo, it re-compresses HD content differently depending on the deliverables you upload. Sometimes I’ve gotten decent results with my 1080p downloads, sometimes stuff looks a lot better when re-uploaded using different settings in Adobe Encoder (what I use to deliver). Needless to say, James’ content looks stunning, the A7s + Atomos Shogun combo is a match made in heaven, and as mentioned by him in the video description, best to download the 4K files from the links above for best viewing enjoyment, as Vimeo re-compression may introduce some moire/aliasing not present in the original ProRes or H.264 4K files.